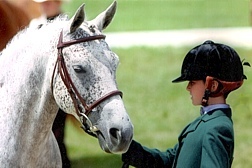 Summer Horsemanship Programs are conducted at our equestrian center each summer for children interested in learning to ride and for experienced riders looking to improve. 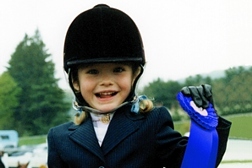 The programs are a great way to learn and improve riding skills in a fun, safe environment. 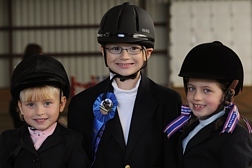 Along with teaching riding skills, the programs emphasize safety, horsemanship, and stable management. The program includes a daily riding lesson as well as fun, educational equine activities and games. Each program concludes with an award ceremony in which each participant is recognized for their accomplishments. End of Hunt offers two weeks: July 8 - 12, 2019 and July 15 - 19, 2019. Each session is 9:00am - 1:00pm. The cost is $300 per week. Space is limited - sign up today! "His is a power enhanced by pride, a courage heightened by challenge. His is a swiftness intensified by strength, a majesty magnified by grace. His is a timeless beauty touched with gentleness, a spirit that calls our hearts to dream."